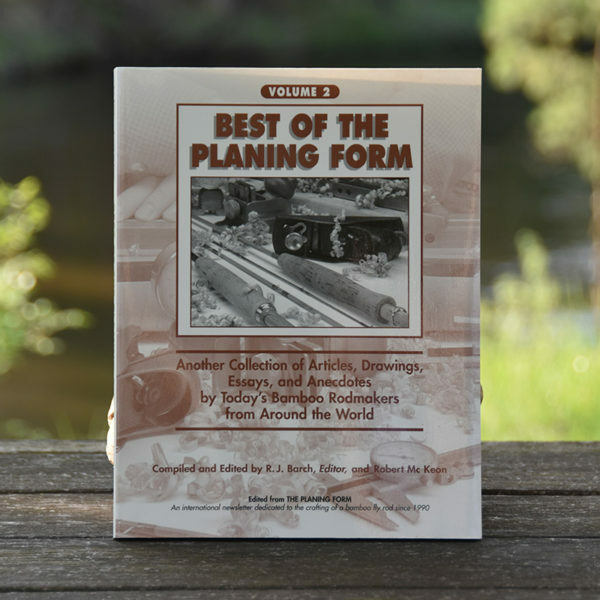 In Volume II of Best of The Planing Form the reader will discover the latest creative genius from professional and amateur craftsmen worldwide. An international journey of the latest trends, techniques, and innovations found in today’s world of split bamboo rodmaking awaits the reader. A split bamboo fly rod is the crown jewel in the angler’s treasure chest of gear. For more than a century the secrets of split bamboo rodmaking were shrouded in mystery, available only to the persistent few. 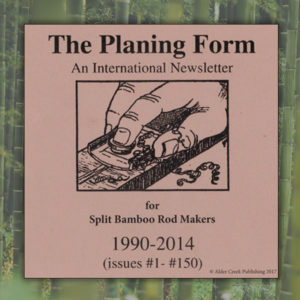 But in the closing decades of the 20th century a “Renaissance” of split cane rodmaking occurred, and The Planing Form newsletter was there to document and share the secrets of a new golden age of rodmaking. Now in Volume II of Best of The Planing Form the reader will discover the latest creative genius from professional and amateur craftsmen worldwide. An international journey of the latest trends, techniques, and innovations found in today’s world of split bamboo rodmaking awaits the reader. 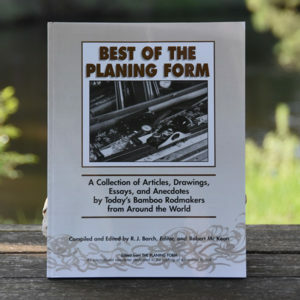 The Best of The Planing Form II is an exciting exploration into the world of modern split bamboo rodmaking. An adventure for both the angler and the craftsman!